Having this website has led to some beautiful things in the past decade. Stunning sessions and some personal highlights as well, filming and interviewing my favourite musicians. Every now and then it also allows me to orchestrate something special. 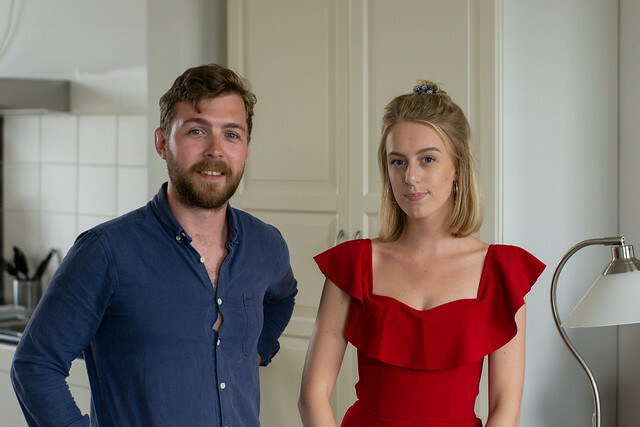 When Ryan Joseph Burns came to Utrecht from Glasgow earlier this year, I set up a meeting with the Dutch country singer Demi Knight. After a quick rehearsal, they recorded this cover version of Hickory Wind by Grams Parsons and Bob Buchanan. The idea for this duet started a year earlier, in my head, and when I picked up Burns from Schiphol airport in May this year I was reminded of it. Playing in the car stereo was Demi Knight’s debut Budapest and Burns just loved everything about it. So for his next visit, a couple of weeks later, I asked Knight if she liked the idea. Sure enough, in the first weekend of June, we were sitting in Burns’ hotel room. Two musicians who’d only met each other once, a year before, picked up their guitars and worked out this gorgeous cover version. On Sunday the 21st of October, Demi Knight will perform at our live show at Café de Stad in Utrecht, together with Gregory Ackerman (USA) and Doghouse Roses (Scotland). Tickets can be bought here. A hotel room in Utrecht, The Netherlands.